Blyth Academy Online is an academically respected private online high school in Ontario offering more than 100 affordable online courses. Our comprehensive curriculum and engaging content, combined with our empathetic teaching and guidance staff ensure that our student success rate is unsurpassed. Students can sign up and start anytime throughout the year. Once registered students will have immediate access to their course and textbook. Students can also complete their assignments, access their account, and produce work any time of day or night, 24 hours a day, seven days a week, every day of the year. You set your own work schedule. Blyth Academy sends all grades to OUAC as they are available, so your grades will always be up to date. By partnering Blyth Academy’s brick-and-mortar campuses and 40-year history of academic excellence with an online high school learning platform and exciting course development, we challenge the current definition of online learning in Ontario. When you register with Blyth Academy Online you are joining the largest private school group in Canada which is both recognized and recommended by the best universities in Canada. In this course, students will learn about blockchain history, business models, use cases, and innovation for the next course of future global developments. Blockchain technology will help students combine the skills required for and knowledge of different subjects and disciplines to solve problems, make decisions, create personal meaning, and present findings beyond the scope of a single subject or discipline. As the world becomes more digitalized, computer science is projected to grow faster than any other industry in the next 10 years. According to Randstad datasets, web developer is one of Canada’s Top 10 most in demand jobs in 2019. Blyth Academy Online is excited to announce the launch of our new course: IDC4U – Blockchain Technology. In this course, students will learn about blockchain history, business models, use cases, and innovation for the next course of future global developments. Blyth Academy offers support at any of our campuses across Ontario with access to both teachers, guidance and support staff. Once registered, students will have immediate access to their course and textbook. 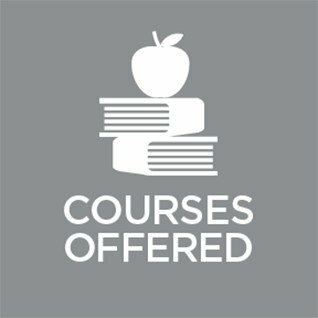 Our included e-textbooks are immediately accessible and included in the cost of the course.